The weather and the fishing has been excellent recently.. Water temperatures are in the mid to high 70's.. 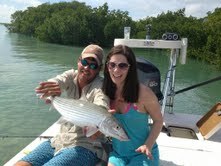 This week we have been finding big tarpon, permit, bonefish, juvenile tarpon, barracuda and permit. It has been a blast! 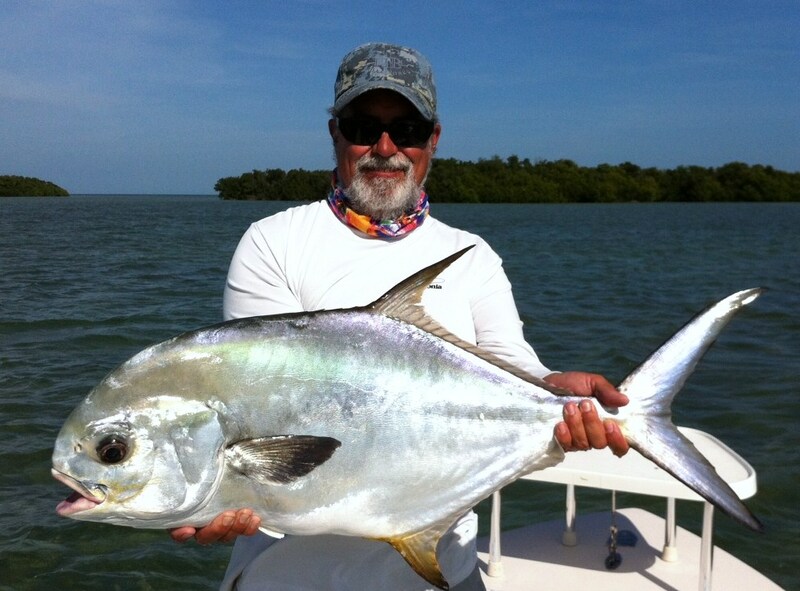 Been lots of permit on the gulf edge flats.. 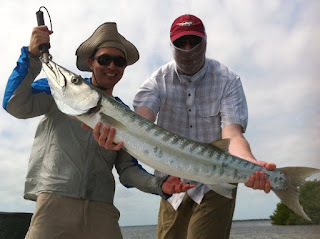 Along with the permit are barracudas, bonefish and sharks. Lee from San Diego with his first cuda! Randy from Wa. got his first tarpon on fly this week. Capt. Gabe Nyblad sent me this pic.. Too good not to share.. 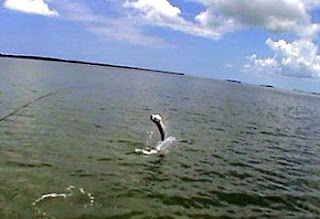 The big tarpon have started to trickle into some of the early season lay up basins. 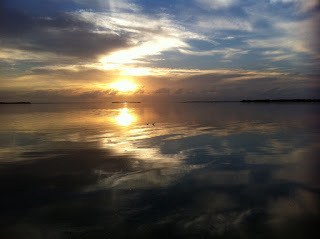 I still have days available for tarpon season.. But they are booking up fast..